For the next couple of weeks, the 2018 FIFA World Cup, one of the world’s biggest sports events, will be held in Russia. This international soccer/fútbol competition brings spectators of all kinds together, drawing on their common passion—and this applies to avid fans who follow the sport throughout the year, as well as those who only pay attention every four years when the World Cup is played. Either way, this is the time to catch up with the latest players and root for your favorite team/country. I live and work in a neighborhood where the caregivers of my library’s kids are often watching fútbol games on their phones, and where once in a while the little ones wear their favorite player’s jersey, or that of their parents’ or grandparents’ national team. It is one of those times when we break down certain barriers of communication with neighbors, family, friends, co-workers, and the people sitting next to us—because we are all speaking fútbol. Like my fellow children’s librarians, the time for summer reading/learning programs is upon us, and we are always eager to support and encourage recreational and informational reading for our youth. The 2018 FIFA World Cup is a great opportunity to showcase our fútbol/soccer children’s books, and to start or continue conversations with our small patrons—and root (or debate!) together. I posted a picture on my social-media accounts of the fútbol children’s books display that I put together at my library, along with coloring sheets of this year’s World Cup mascot, Zabivaka! My great colleagues Angie Manfredi and Cory Eckert suggested that I should assemble a bibliography of these books, and well, here it is! Included here are titles in Spanish and English, as well as bilingual editions, and it contains everything from early readers to graphic novels to chapter books. The majority of these titles are by Latinx or Latin American authors or illustrators. Many feature Latinx or Latin American characters and players, but I also included more general titles about the game and its players. My list focuses on books available at my library branch, but we know there are many more great ones out there! I hope this list inspires you to get your library display going, or perhaps to acquire some of these winners for your library, classroom, or home shelf, all for your favorite little ones! Radnedge, Aidan (2018). 50 Things You Should Know About Soccer. Quarto Publishing. A soccer story–for boy and girls alike–just in time for the World Cup. “Vini Come The field calls, ” cries a girl as she and her younger brother rouse their community–family, friends, and the local fruit vendor–for a pickup soccer (fútbol) game. Boys and girls, young and old, players and spectators come running–bearing balls, shoes, goals, and a love of the sport. “Friends versus friends” teams are formed, the field is cleared of cows, and the game begins. But will a tropical rainstorm threaten their plans? The world’s most popular and inclusive sport has found its spirited, poetic, and authentic voice in Baptiste Paul’s debut picture book–highlighting the joys of the game along with its universal themes: teamwork, leadership, diversity, and acceptance. Creole words (as spoken in St. Lucia, the author’s birthplace island in the Caribbean) add to the story and are a strong reminder of the sport’s world fame. Bright and brilliant illustrations by debut children’s book illustrator Jacqueline Alcántara –winner of the We Need Diverse Books Illustration Mentorship Award–capture the grit and glory of the game and the beauty of the island setting where this particular field was inspired. Soccer fan or not, the call of The Field is irresistible. Congratulations on your first picture book! Can you tell us a little bit about the media you used to create the illustrations? Is it one technique or were you mixing several different ones? Thank you so much! It’s quite exciting to finally be able to celebrate this book and years of hard work! And thank you very much for supporting me and The Field! These illustrations are a combination of pencil, marker, gouache and Photoshop. Every day ,I understand more and more what it is I love about each medium – so instead of trying to make one “say it all,” I work mixed-media so I get the beautiful line-work of pencil, the speed and consistency of markers, the flat opaque color and beautiful texture of gouache, and the limitless possibilities of working in Photoshop! I also scan my work at multiple points along the way which allows me to push the illustration without fear of taking it too far into ruin. There is so much amazing movement in this book. How did you decide when to use panels and when to use full page spreads? What was your research process like for the figures and movements of the players? I really love illustrating people and movement. I think that was a big reason I was so attracted to the project in the first place! To begin, I watched movies, fútbol games, documentaries, looked through photographs etc – and drew hundreds of figure sketches of kids and adults playing soccer, really trying to find the most dynamic and natural poses. It was so interesting to see how people’s styles, circumstances, settings, and techniques all changed country to country. The thing that didn’t change, was the look on people’s faces after the game – the looks of joy, friendship, exhaustion. After I created my cast of characters, I went back through all my figure sketching and decided which movements or styles of kicking, running, and playing felt right for each character. Who was the confident player? Who was the more shy and awkward player, etc? I felt the beginning of the book was a series of static moments. Connected, but individual moments that focused on the players. I felt this would be best portrayed in panels so we could focus on each moment. As the story progresses, we see ‘The Field’ itself becoming the main character. The Field unites the players, creates friendships, teaches lessons, makes memories! So it felt right to fall back and show the field in its entirety – making the place, the people, and the action more united. The men’s World Cup is coming up soon. Are you a fútbol fan? If you are, which team will you be cheering for? I am! While I don’t love watching sports on TV, I LOVE watching world events like the Olympics and the World Cup. My favorite team is Barça, so for the World Cup I’ll be rooting for Spain! ABOUT THE ILLUSTRATOR (from her website): Jacqueline Alcántara is a freelance illustrator and spends her days drawing, painting, writing and walking her dog. She is fueled by electronic and jazz music, carbs and coffee. Jacqueline studied Art Education and taught high school art and photography before transitioning to illustration. In combination with freelance illustration, Jacqueline has a wide range of work experience in other art and design related positions. She managed an art gallery and framing studio in Chicago, worked in the set decoration department on NBC’s “Chicago Fire”, and was the Member Relations Manager at Soho House Chicago where she cultivated a community of Chicago creatives in fashion, advertising, fine art and more. She has a never ending interest in learning new skills and taking on new challenges. Her experience working with children has led her to focusing on children’s literature and specifically in pursuit of projects featuring a diverse main character. She won the 2016 “We Need Diverse Books Campaign” Mentorship Award and is excited to be working to promote inclusiveness and diversity in children’s literature and the illustration field. DON’T MISS THE BOOK GIVEAWAY! THE INFO IS AT THE BOTTOM OF THIS ARTICLE. 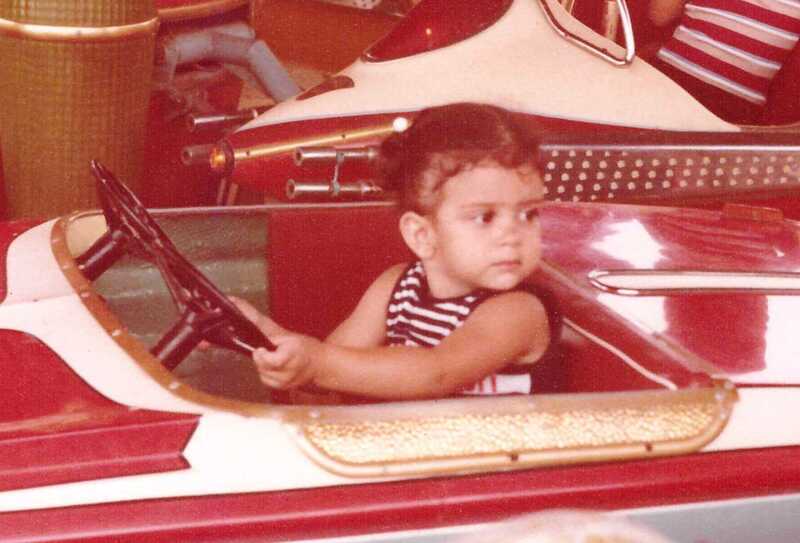 Sometimes I wonder what the reaction of my younger self would be if I could tell her that, at almost 40, I am investing in a career as a children’s book writer… in English. “Awesome!” my enthusiastic five-year-old self would probably scream. “But you don’t speak English,” the realistic 10-year-old me would point out. “You’re studying to be a journalist. Your job is to expose the facts and allow your readers to form their own opinions, not to create stories,” the determined 20-year-old me would explain. Certainly, I never thought I would one day publish any book, let alone a children’s book, in English. Yet THE SOCK THIEF has been in the making since I was that enthusiastic five-year old in Rio de Janeiro, Brazil. 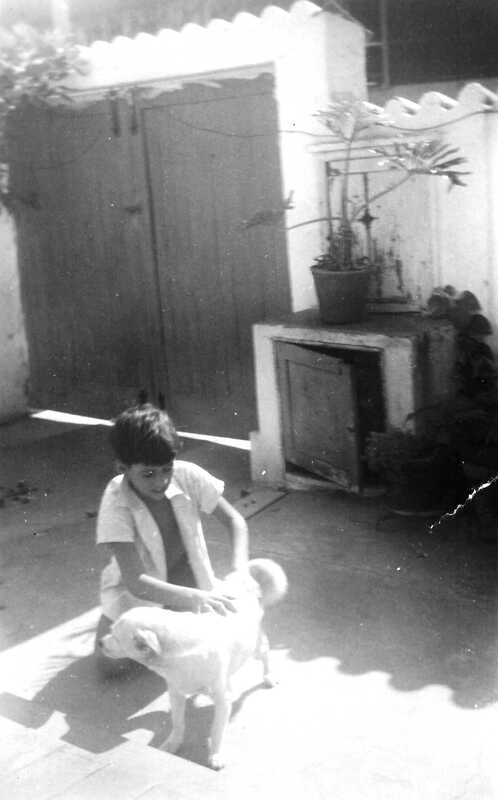 It started when my father tucked me into bed each night and shared stories of his childhood. Although my paternal grandmother came from a wealthy family, my grandfather didn’t, and their five kids lived a frugal life. This included not owning a soccer ball, a very expensive item in the 1960s, in Rio. My father and his older brother had to be creative. They would sneak into my grandmother’s bedroom, take a pair of women’s hose, stuff it with newspaper, and make a soccer ball. Don’t ask me why, but that story stuck in the back of that enthusiastic five-year old’s mind and resurfaced in the wanna-be children’s writer I eventually became. I had wanted to write a story with a Brazilian character since I started writing for kids in 2012. During a local SCBWI conference, a speaker mentioned something that brought back the long-forgotten memory. It wasn’t a story yet, just a memory with potential. Then, I remembered something else from long ago. One day, watching a famous Brazilian TV show called Fantástico, I learned about a kid who had to walk a huge number of miles to reach school every day. I was a middle-class kid, riding on a comfortable school bus over paved roads, completely sheltered. That different reality, unthinkable to me up until then, left a strong impression. Maybe it sat in the back of my mind, by my father’s childhood story. Together, they started to form a plot. Although I felt there was still something missing in the plot, I wrote THE SOCK THIEF (or MONDAY IS SOCK DAY, its first title) and submitted it to two different agents. And received two rejections. It wasn’t until I found that missing something that the manuscript received some attention. One of the things that surprised me when I first moved to the United States was the way animal sounds are represented in written English. While in English a dog says “woof, woof,” in Portuguese, it says “au, au, au.” I imagined the difference would be a surprise to others as well, and decided to add it to THE SOCK THIEF. In my opinion, it gave the story a unique flavor. A year after the idea first sprouted, I met my future editor at the same local SCBWI conference. I had paid for a manuscript critique, which included a 10-minute, face-to-face, in-depth analysis of THE SOCK THIEF. My editor thought the story was interesting. However, it was only after she learned that making soccer balls out of socks was a real practice in Brazil that her interest really sparked. After the conference came the cutting, and cutting, and cutting of words. In the original text, I carefully described the process of making a soccer ball out of newspaper-stuffed socks. It was a tedious and confusing text, better shown through illustrations. I fixed some weird sentences. I added an author’s note. And I submitted my revised manuscript. I crossed my fingers, lit some candles, held on to my figa, and tied some Nosso Senhor do Bonfim bracelets around my wrists. Okay, maybe I’m exaggerating a little. The point is that, although I really wanted a positive response, I had received so many rejections in the past, for this and other manuscripts, that I wasn’t keeping my hopes up too much. In fact, I had set up a mental deadline. If I didn’t receive a positive reaction to my work, I was going to give up. The submission process is very stressful and the fact that it usually comes with rejections doesn’t really help. I never expected that the positive reaction I was hoping for would come in the form of a publishing offer, but it did. From that point on, everything was new and exciting–the illustrator choice (Nana Gonzalez’s grandpa used to make soccer balls out of socks in Argentina! ), the first drafts, the adjustments to the text, the illustrations in color, the adjustments to the text, the front cover reveal, the adjustments to the text, the first book review (a bit nerve-wrecking! ), the scheduling of school visits, the book promotion… And, during it all, I sold four more books to Albert Whitman & Company–even more excitement. While this journey would be exhilarating no matter what, to me it’s particularly rewarding because writing in English doesn’t come easily. No matter how long I’ve lived in the US, or how many college degrees I hold, or how much work experience I have, sometimes, I still sound foreign. I’m not talking (or writing, I should say) about my accent. It’s the word choices, the sentence structure, the weird use of prepositions. I’ve been through many funny and embarrassing moments thanks to the complexity of the English language…but that’s a whole different story. To celebrate the upcoming release of THE SOCK THIEF, we’re launching an amazing giveaway. Sign up for a chance to win a copy of the book, plus a total of six copies to be donated to two elementary schools of your choice (three copies to each school). This giveaway was made possible thanks to a donation from Albert Whitman & Company. To sign up for a chance to win and to check out the terms and conditions of the giveaway, visit the giveaway page on Ana Crespo’s website. 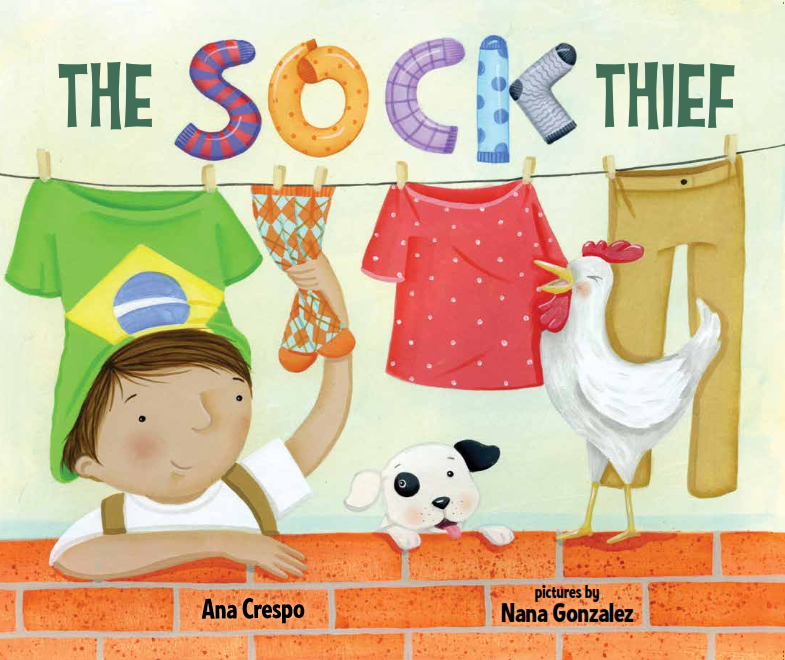 Ana Crespo is the author of THE SOCK THIEF (Albert Whitmam & Company, March 2015), JP AND THE GIANT OCTOPUS and JP AND THE POLKA-DOTTED ALIENS (Albert Whitman and Company, September 2015). Before investing in a career as a writer, Ana worked as an academic advisor and a translator. She holds a bachelor’s degree in Journalism and a Master of Education in Career and Technology Education. 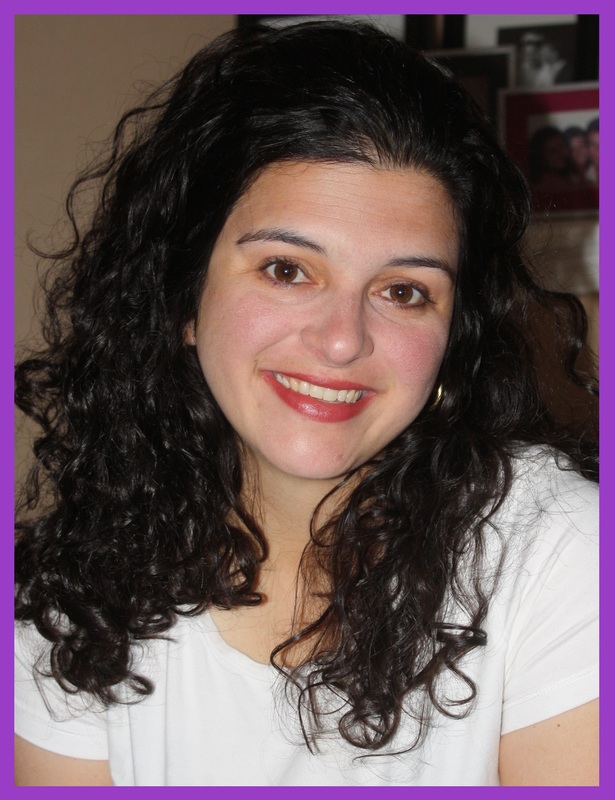 To find out more about Ana, visit her website. You may also find her tweeting away at Twitter , or sharing news on Facebook. The original post can be found here on Scholastic’s site. The World Cup kicked off Thursday, June 12, and Club Leo en Español has been cheering on our favorite teams ever since. Safe to say, soccer mania has swept Scholastic! The World Cup is the largest fútbol (aka soccer, in North America) competition in the world. Every four years a different country has the honor of hosting the games. This year, the World Cup is being hosted by Brazil. It’s the first time in almost 30 years that the games will be played in Latin America. Brazil is a soccer haven, having won the Cup a total of four times thus far. In fact, Pelé— arguably fútbol’s greatest star—hails from Brazil. Pelé is the only player to have been a world champion three times. He won in 1958, 1962, and 1970. The World Cup is a global phenomenon and Club Leo en Español is showcasing the bilingual book Soccermania/Futbolmanía to celebrate the games. Soccermania/Futbolmanía is a great resource for learning about wild antics and fun back stories from the history of the World Cup and the game of fútbol. Some of these facts need to be read to believed! Let’s take a sneak peek at some info from the book. 2. How many soccer balls are made every year around the world? A hundred million! China played a game called cuju during the Han Dynasty. Greece played a game called episkyros more than 2,000 years ago. The Roman Empire played a game called harpastum more than 1,500 years ago. Japan played a game called kemari 1,400 years ago. 4. The Nike Corporation makes fútbol attire and memorabilia out of plastic bottles. It takes eight bottles to make a shirt and five bottles to make a pair of shorts. Author’s Note: Club Leo en Español supports your classroom with fun and affordable books that connect children’s home language and learning. Our books include amazing series, original titles, and winners of the Pura Belpré Award, which celebrates the remarkable contributions of artists who give voice to the Latino community through children’s literature. Club Leo en Español apoya tu salón de clases con libros divertidos y asequibles que conectan la lengua materna y el aprendizaje de los niños. Nuestra colección incluye increíbles series, títulos originales y ganadores del Premio Pura Belpré, que celebra los extraordinarios aportes de artistas que dan voz a la comunidad latina a través de la literatura infantil.